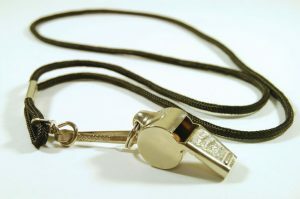 According to a recent news article from the Wisconsin Watchdog, a publication that has been following the many problems at the U.S. Social Security Administration (SSA) and their disability benefit program, the agency is requiring personnel to take whistleblower training after it has already allegedly fired one whistleblower. The alleged firing of a whistleblower in retaliation for reporting problems with delays, along with judges making derogatory comments to employees and disabled claimants, has gotten some members of Congress concerned, and they have commenced oversight hearings. In this recent article, the author discusses how this mandatory training is designed to tell employees about their rights to report misconduct and thus become a whistleblower, and the whistleblower that started all of this is not there because she was fired three months before the first training. It has been alleged that she was fired illegally in retaliation for reporting the various different instances of misconduct.While the agency is denying that she was fired in retaliation, there is no question that there are a lot of problems with how things go at the SSA. One of the major problems is that is essentially a policy (though presumably an unwritten one) that the vast majority of all applications are denied upon being filed. This happens all the time and without regard to whether the claimant is genuinely disabled or not. One of the likely reasons for this is because the agency is always in fear of running out of money, so they can save money by paying out as little in claims as possible. While it seems that the problems with SSA will be around for the indefinite future, that doesn’t mean that all claimants are out of luck. The best thing you can do if you are applying for Social Security disability benefits is to speak with an experienced disability attorney as early in the process as possible. The reason for this is because the application process can be very complicated, and the claimant does not know by what criteria he or she is being assessed. In other words, the SSA uses a very strict definition of what it means to be disabled within the context of collection of SSDI or SSI benefits. The agency all uses a book known as the Dictionary of Occupational Titles (DOT). This book, which was first constructed in the 1970s, and has changed little over the years, contains a list of jobs that people can do despite the fact that they have a severely disabling condition. If you have an attorney representing you in this process, that experienced attorney will know how to complete the application and make sure you obtain the right medical documentation from your various healthcare providers before actually filing the initial application. This will increase the speed at which your application will go though the review process. However, it should be noted that regardless of what you do on the initial application, there is still a decent chance that it will be denied, and you will have to file a written request for reconsideration. If this does not work, you will have to request a hearing before an administrative law judge.